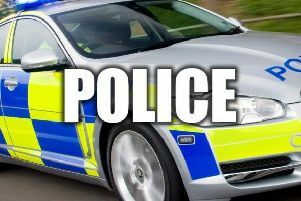 Vehicles had their wing mirrors kicked off whilst parked on a Morecambe street. Police have released CCTV stills following the vandalism on Granville Road at 6.15am on May 3. Police want to trace this man after cars had their wing mirrors kicked off. The man captured on CCTV is described to be white, with dark hair dressed in dark clothing and white trainers. The vandalism took place at 6.15am on May 3. Anybody with any information can call police on 101 quoting Crime Number WB1503412 or Crimestoppers anonymously on 0800 555 111 or on-line at Crimestoppers-uk.org. You can now receive free crime alerts and advice.